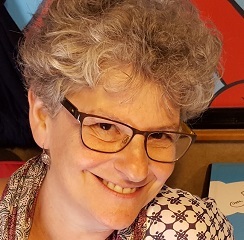 Special Guest Ruth Horowitz’s six books for young children include picture books Are We Still Friends?, which PJ Library reissued as a Rosh Hashanah selection, and Crab Moon, a Mentor Text and NSTA Outstanding Science Trade Book for Children. Her story “Letdown” took third place in Lilith Magazine’s 2012 fiction contest, and the Vermont Press Association recognized her piece, “Kosher Caskets” as the best feature writing in a non-daily newspaper in 2003. A former school librarian, Horowitz lives in Rhode Island, where she is currently working on two middle grade novels.